Commerce Bank Regional Headquarters - PWArchitects, Inc. In the highly competitive world of banking, it is customer service, which ranks highest in a bank’s endeavors. Thus, location and design are of paramount importance to help please and comfort the client. 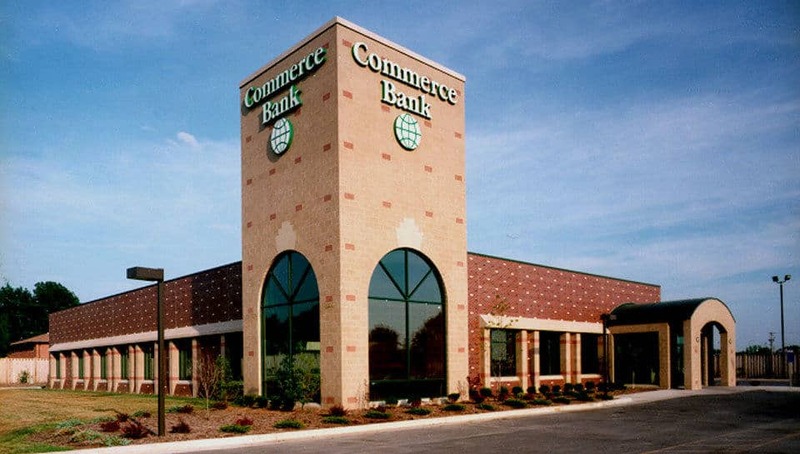 The Commerce Bank Regional Headquarters in Columbia is located in a high commercial district which serves an economic corridor along two major thoroughfares. 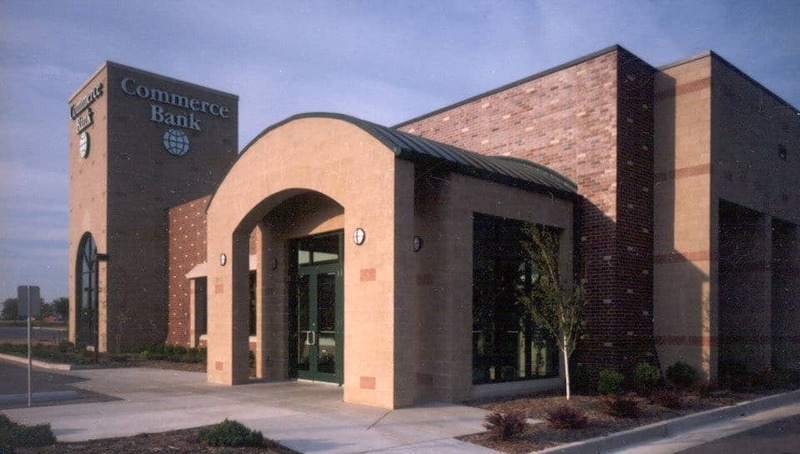 The bank’s contemporary design is a blend of styles, which are noticeable from both streets. With its public areas forming an inverted “U” around a central core, it gives customers, as they enter, a welcome and inviting feeling of openness, with easy access to all areas. The contiguous relationship between walk-up and drive-up tellers allows for easy “backup” between departments. The rich mahogany paneled walls that line the outside of the executive offices add a feeling of warmth to the central core enclosure. While many banks place vaults where they cannot be seen by the general public, this building proudly displays the vault in full public view in the Lobby. This meets with the Bank’s prime objective — Customer Service.